Evolution files to Outlook migration software is designed to transfer Evolution database files to PST of Outlook. 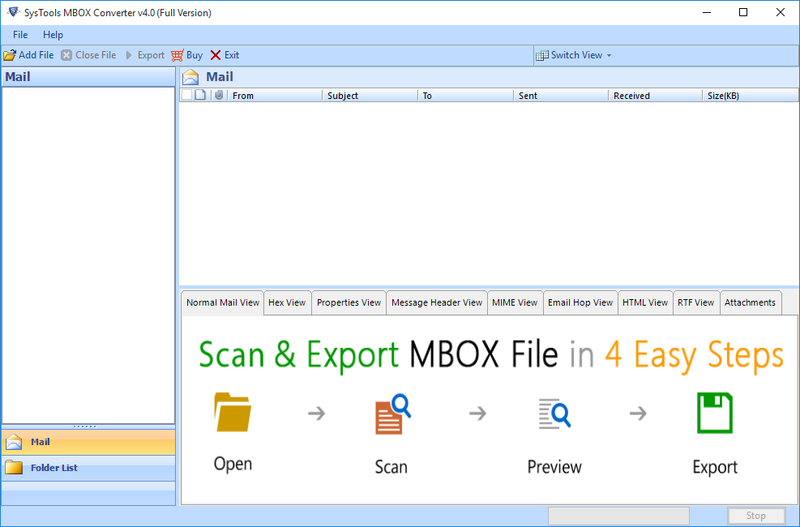 Download free demo version of Evolution to PST transfer tool to easily move MBOX Files(inbox.mbox, trash.mbox, etc.) to Outlook PST file format. Migrate Evolution email to Outlook 2016, 2013, 2010, and 2007 PST format for Windows. Software can create PST data files containing all Evolution Mail emails along with their attachments. You don't even need Evolution to be installed on your system. The software works effectively even without it. There are two options by which an Evolution data file can be uploaded into Evolution to PST Outlook transfer software. You can use Add File method which import a single file or multiple files at a time using this feature. Also, you can use Add Folder option to upload a folder having multiple files. Preview email messages of Evolution email client within the interface of Evolution to Outlook Converter. There is even a separate view pane for the attachments linked with the emails. Software has the capability to break large size Evolution mailboxes into multiple smaller output PST files. This splitter mechanism works on the defined size in GB/MB to create smaller database files suitable for your need. There is a feature in Evolution Mail to Outlook converter to configure multiple files collectively. Users can either choose to move a single file individually or transfer a complete folder having multiple files to PST format. With maintained folder hierarchy support batch migration. Tool can generate a live moving status report for the conversion process. Report contains information about the transferred Evolution file. With source file name, failure count, success count, a status report is generated in HTML or CSV format. 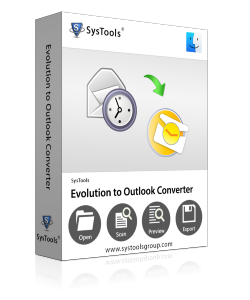 The Evolution Mail to Outlook converter is available as a freeware trial edition that lets export only 25 e-mails to PST for demonstration purpose and not more than that. 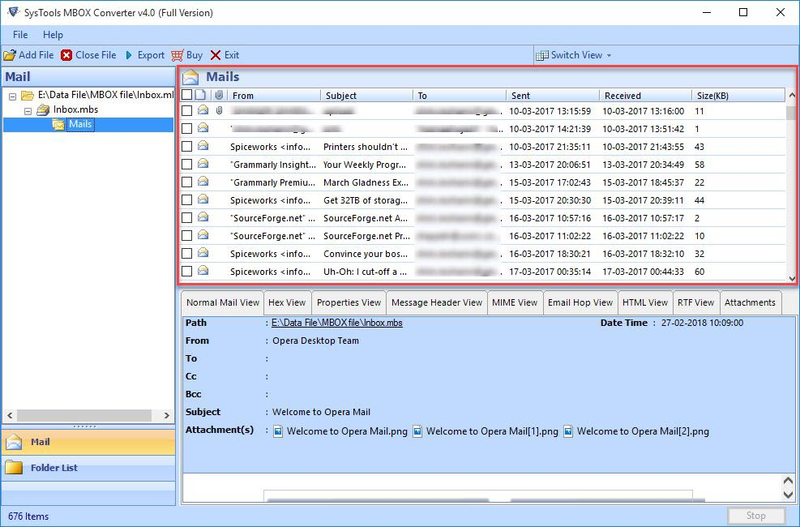 How to move Evolution Mail to Outlook PST? Step 1: Run the Evolution to PST Outlook transfer software on your computer. Load Evolution files into the application wiazrd for further process. Step 2: Tool will start scanning and once scanning gets completed, preview of all emails along attachment will be available. 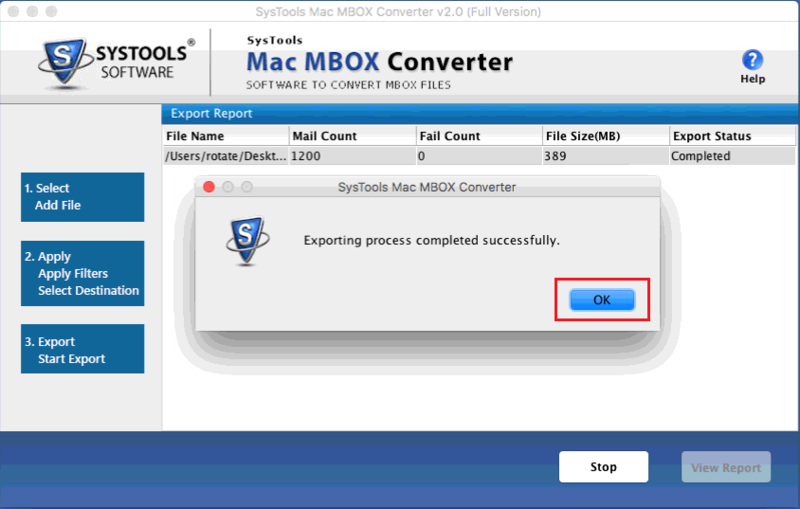 Step 3: Select mailboxes and click on Export button to save recovered data. Select PST from the Export options, select split PST to create required size of PST file and finally click on Export button. Step 4: The tool will migrate selected items into a PST file and it will take a while. Click on Ok button, once the conversion is completed. 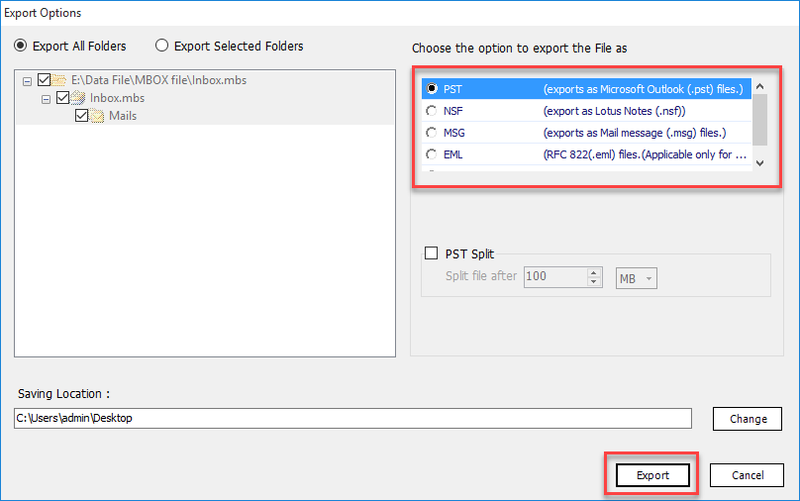 Note: After Evolution to Outlook migration, import resulting PST file in MS Outlook by using Import Export Wizard. Can I use the Evolution file to Outlook transfer tool on my new Windows 10 machine? Yes, the software supports all Window OS versions and run smoothly with Windows 10 as well. Could not start move process while running the file converter. How can I solve this issue? Please disable the Anti-virus while running the Evolution to PST Exporter Tool. You can include the application in whitelist or allow access to the Evolution Email client software from Anti-Virus settings & the tool will start working smoothly. Evolution File to Outlook transfer software is one powerful tool to move Evolution to Outlook 2016, 2010, 2007 etc, it is my personal experience. When I need to shift bulk emails from Evolution to PST, business license of the software helped me effectively. Instant and appropriate email migration with this software is really amazing. Thanks for formulation of such brilliant application to extract Evolution emails to Outlook. Excellent Tool for moving the files from Evolution into PST and accessing them in Outlook. The availability for both Mac & Windows platforms makes this software special as I can use the tool on both platforms. Recommended utility for MBOX files conversion in simple steps. Thanks to the developer. Mac Evolution files to PST exporter software is developed to transfer Mac Evolution emails to Outlook. 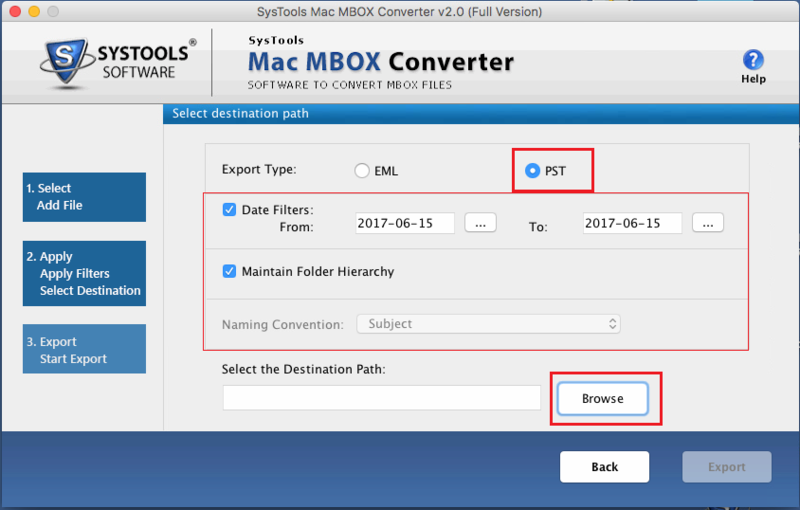 Download free trial of Mac Evolution migrator tool to easily move Mac MBOX data files to PST Outlook file format. Evolution emails to Outlook migrator can import Evolution data to Outlook 2016, 2013, 2010, 2007 & 2003 PST format. Without any data loss, transfer emails along with attached files. During Mac Evolution mailbox to Outlook extraction, no changes are made to message formatting. Import complete mailbox emails from Evolution to EML format. The Mac Evolution to Outlook converter extracts data from an Evolution file including attachments into multiple .eml files. Mac Evolution to PST exporter provides an additional feature to hold email folder structure till the end. After migration, all folders and files hierarchy will be same. By default, the tool ensures email data integrity with its content and meta properties. The Mac Evolution files to Outlook PST converter ensures that all the emails metadata and properties are kept intact. Which includes the Sender details, To, Cc, Bcc, Subject, and other information. Software also maintains the HTML formatting of email body and keeps the inline images in original format. The Mac Evolution To Outlook converter for Mac is available as a freeware trial edition that lets export only of 25 e-mails to PST for demonstration purpose and not more than that. There are multiple Evolution data files that need to be moved to Outlook. Is the tool feasible for such task? 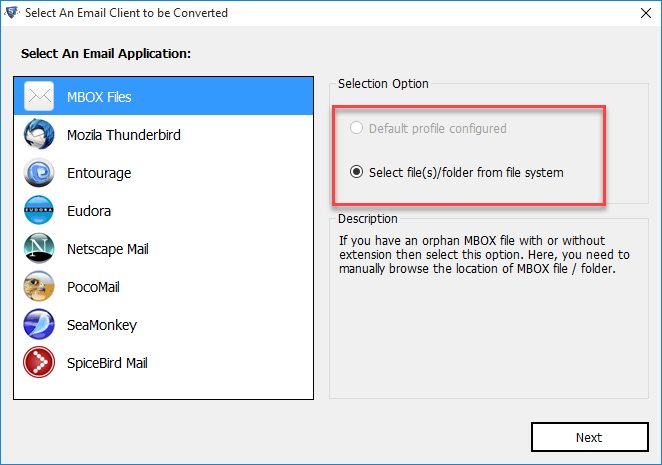 Yes, The utility has the capability to add many files in bulk using Add folder option and then convert these MBOX files to Outlook PST format. 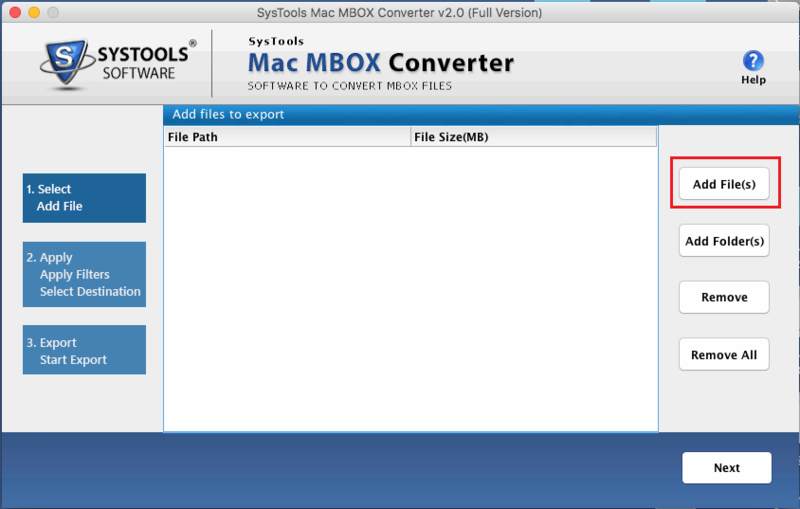 Does the tool work with MAC OSX 10.9 & lower version? No, Evolution Mail to Outlook exporter only support MAC OSX 10.10 & above versions. It will not work with lower versions. Can it move large number of emails in one time from Mac Evolution File to PST? Yes, It can easily transfer multiple emails from Mac Evolution to PST file format. You can simply browse the files and import them in one time. 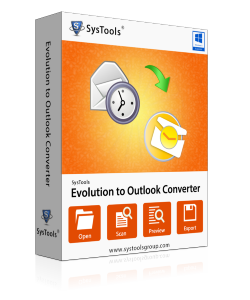 The Evolution to Outlook Converter is truly an efficient tool when it comes to transferring the Evolution data into MS Outlook on Mac system. In our case, the whole process was seamless without any issues. Atleast now I know where to come for my future conversion needs. Best thing about this utility is its reliability during the migration process. From personal experience, the procedure to export Evolution Mail to Outlook has never been more pleasant. The steps were easy and the results were perfect with no inner modification at all. Recommended tool!